Supplier Diversity Archives | Morai Logistics Inc. This past week, a few members from the Morai Logistics team proudly attended the 5th annual Opening Doors National Conference in Toronto. 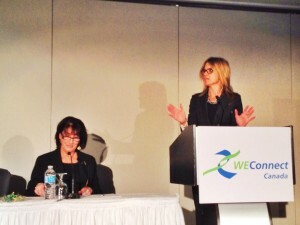 Hosted by WEConnect Canada, I attended as an observant in support of Morai Logistics where I got to hear the president of the company, Kelli Saunders, during the WBE (Women’s Business Enterprise) Success Stories session. For this week’s post I will be guest blogging on my experience and to give our readers an inside look into WEConnect Canada’s annual conference as well as some takeaways from the WBE Success Stories session. …[advance] the success of certified women business enterprises and corporate members to drive economic growth and prosperity through supplier diversity. As I walked into the Hyatt Regency in Toronto to check into the conference, I already saw members in the lobby openly conversing. I went up the escalator to where the actual conference was taking place and noticed an overwhelming feeling of openness and support. Everyone I ran into at the conference was both welcoming and friendly, regardless of whether or not they were attendees, speakers, or organizers of the event. All three of the women offered some sage advice both for people who have already established and successful businesses as well as for those who are just starting out their entrepreneurial pursuit. The experiences that these women have shared were not only valuable, but also eye-opening to those who have been wondering about how businesses can take off and the importance of a good network. Mary Britton spoke of the importance of knowing how to work in your business as opposed to working on your busines. As someone who’d seen her company take off and really grow, Mary had to learn how to trust her team and to allow herself to focus on the expansion of her business. She also made a really important point keeping a company lean and not to fear outsourcing. Marla Kott on the other hand, spoke of learning a company’s ecosystem if you ever intend to work together with them. This can make streamlining and cooperation between two companies run more smoothly. Kelli Saunders spoke of the importance of networking; making connections is the way to get your foot in the door for future clientele. She also emphasized the importance of mentorship and joining organizations like WEConnect so that you can get that foot in the door. But the most important point that all three speakers bestowed upon the audience that day was the fact that as a business owner, you have to be aware of the tools that are present to you. 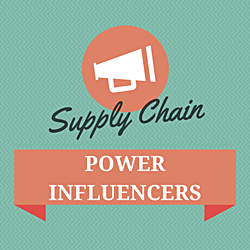 One of the most important tools for women-owned businesses is certification of supplier diversity. Morai Logistics is part of WEConnect as a certified Women’s Business Enterprise (WBE). 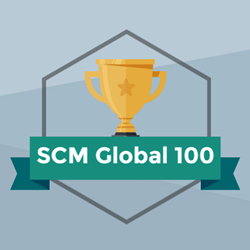 This is important as this certification is the only Canadian certification of women-owned businesses and critical to maintaining supplier diversity for companies – something that can be appealing for companies in the logistics and supply chain industry who want to actively promote supplier diversity in their network of partners and clients. In the cupcake that is your business, where the cupcake and the frosting are your performance and your team, having a diversity supplier certification is just the sprinkles. You still need to have an excellent cupcake that should stand out more than anything else, the sprinkles are just the bonus that entices the buyer from making that final decision between your cupcake and someone else’s. Thanks for reading my guest blog post! If you are interested in how Morai Logistics can take the chaos out of your supply chain, check out their services section! 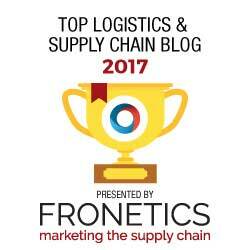 If you want to stay updated on their content, why check out the rest of their blog or follow them on Twitter at @MoraiLogistics!